This library has been made to easily interface and use the DS3231 RTC with an Arduino or chipKit. 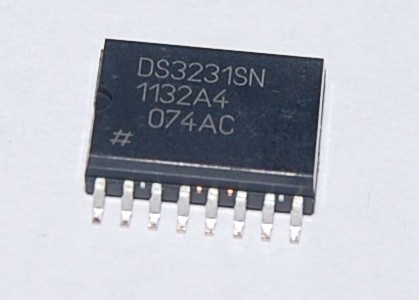 The library will also work with the DS3232 RTC chip but you will not be able to use the internal SRAM. 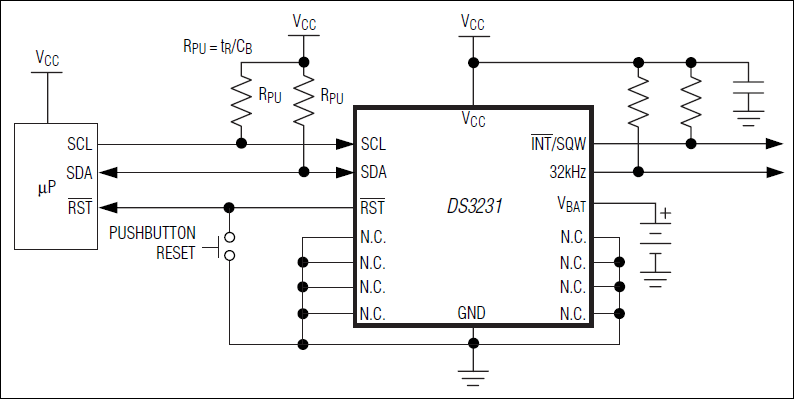 The DS3231 is a low-cost, extremely accurate I2C realtime clock (RTC) with an integrated temperature-compensated crystal oscillator (TCXO) and crystal. The device incorporates a battery input, and maintains accurate timekeeping when main power to the device is interrupted. The integration of the crystal resonator enhances the long-term accuracy of the device as well as reduces the piece-part count in a manufacturing line. The DS3231 is available in commercial and industrial temperature ranges, and is offered in a 16-pin, 300-mil SO package. Please note that this library only makes use of the 24-hour format, and that alarms are not implemented. The library has not been tested in combination with the Wire library and I have no idea if they can share pins. Do not send me any questions about this. 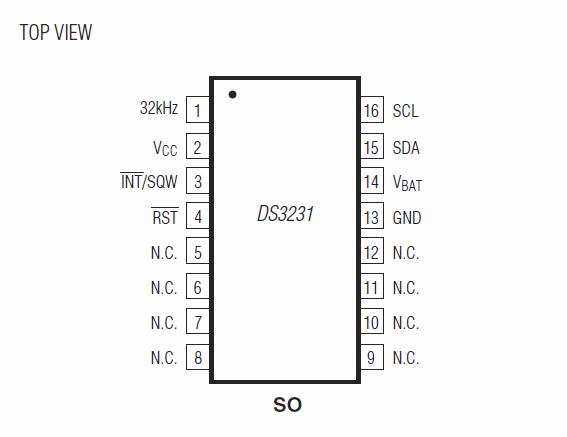 If you experience problems with pin-sharing you can move the DS3231/DS3232 SDA and SCL pins to any available pins on your development board. This library will in this case fall back to a software-based, TWI-/I2C-like protocol which will require exclusive access to the pins used.